Kati Ritchie is an iconographer from Minneapolis, Minnesota. She has worked as an archaeologist, translator, and photojournalist. Over the last 14 years, Kati has traveled across the US and to eastern Europe and Russia in order to study icons and learn from other iconographers. 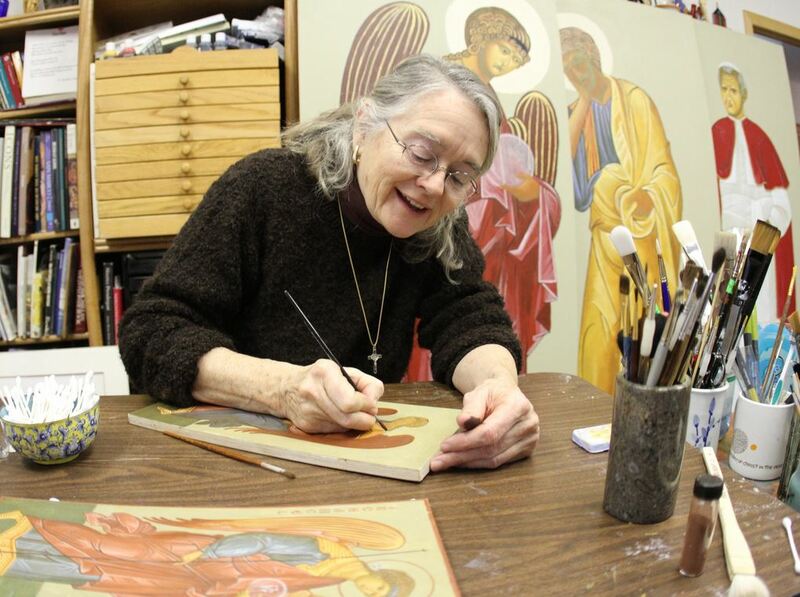 She found a mentor in world-renowned master iconographer Ksenia Pokrovsky, who died in 2013. She has written over 100 icons and a number of them have been commissioned by both Eastern and Western right churches. 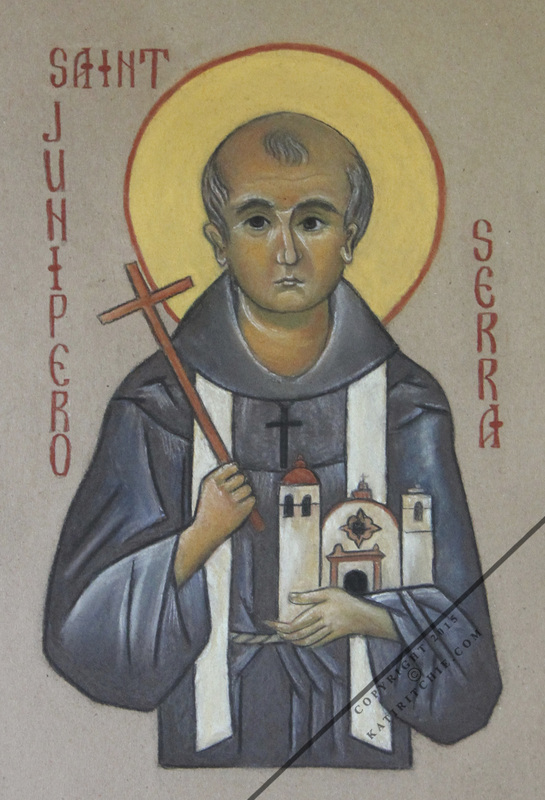 On September 23rd, Pope Francis canonized Junipero Serra, an 18th century Spanish Franciscan friar who built missions throughout California. At a meeting in Rome in November, the president of Serra International’s board, Timothy O’Neil, plans to give the original icon to Pope Francis.